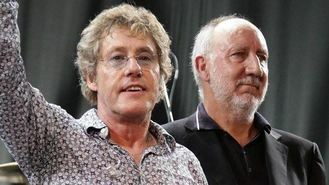 The group - featuring Roger Daltrey and Pete Townshend, the two surviving members from the original quartet - will play a series of arena shows from November which they say will be an "amazing journey" through their career. The Who, who formed in 1964 as the High Numbers, have continued to perform high profile shows with occasional lengthy breaks in their career. Frontman Roger Daltrey spoke last year about how the band would be reining-in their touring commitments and said they were planning a "last old-fashioned, big tour". The 70-year-old vocalist - who famously sang "hope I die before I get old" in early hit My Generation - said today of the newly announced Who Hits 50 shows: "This is the beginning of the long goodbye." The Who - whose well-known songs have included hits Won't Get Fooled Again, I Can't Explain, Baba O'Riley and Pinball Wizard - have weathered the deaths of their manic drummer Keith Moon in 1978 and bass player John Entwistle in 2002. In 2011 they are said to have reached an audience of more than 100 million when they were chosen to play at the US Super Bowl, then went on to perform at the closing ceremony of the London Olympics the following year. Their last album of new material Endless Wire was issued in 2006, and was itself the first release for 24 years. Guitarist Pete Townshend, 69, joked about their anniversary: "We are what we are, and extremely good at it, but we're lucky to be alive and still touring. If I had enough hairs to split I would say that for 13 years since 1964, The Who didn't really exist - so we are really only 37." The shows begin on November 30 at Glasgow's SSE Hydro, and wind up at the O2 Arena in London on December 17. Tickets go on sale on Friday July 4 at 9am.